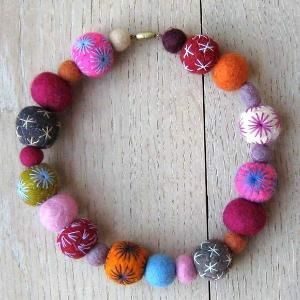 Explore the fun world of wet felting as you learn to create your own felted jewelry. During this one-day workshop, students will learn how to use wet felting to create their own unique, handcrafted jewelry to bring home with them. This workshop is designed for beginning students who want to have fun, learn new art-making techniques, and explore their creativity.